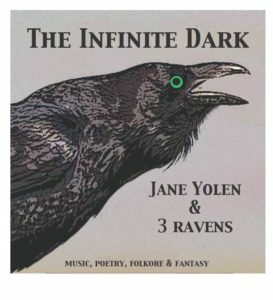 The Infinite Dark is a CD of poetry, songs, and instrumental music drawn from the writing of Jane Yolen. Musicians include 3 Ravens (Lui Collins, Donna Hébert, Max Cohen) and Molly Hebert-Wilson. Jane reads her verses, as do Molly and Donna. The readings are set like jewels within a web of Max’s guitar accompaniment. 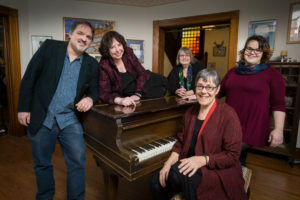 Lui’s song setting of Jane’s “Ballad of the White Seal Maid” was a catalyst for this project, which began with a show in the Fall of 2016. 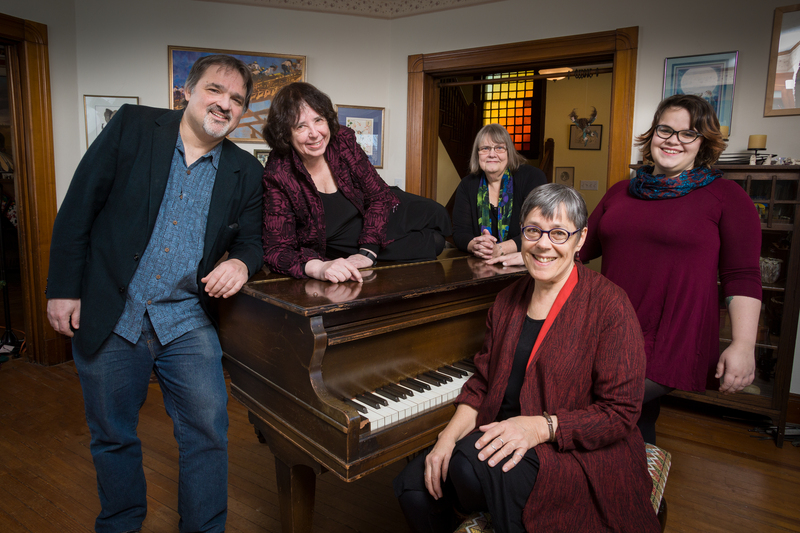 Jane, an honored alumna of Smith College, and Donna, a fiddle instructor at Smith, are delighted to have this CD release concert in one of their favorite performance spaces, Sweeney Hall. Concert time is 8 pm. This is a FREE CONCERT. Copies of the new CD and the book it’s drawn from, Jane’s “The Last Selchie Child,” will be available for sale.